An adorable twist to an outfit for fall and Halloween. 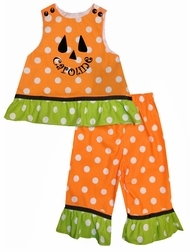 We take orange with white dots fabric and embellish it with lime green with white dots fabric ruffles. 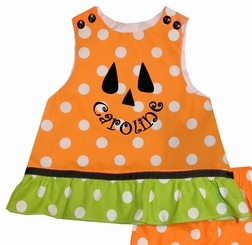 We applique the front with a black Jack-O-Lantern face with your little one's name as the mouth. Fun and colorful!